SCOTS spend almost £30 million a year in coffee shops – or £80,000 a day – with some caffeine fans admitting to forking out hundreds of pounds for their morning latte or cappuccino every year. Over a third of Scots – and a total of 17 million UK adults – visit a coffee shop at least once a week, according to a report from budgeting account provider thinkmoney. 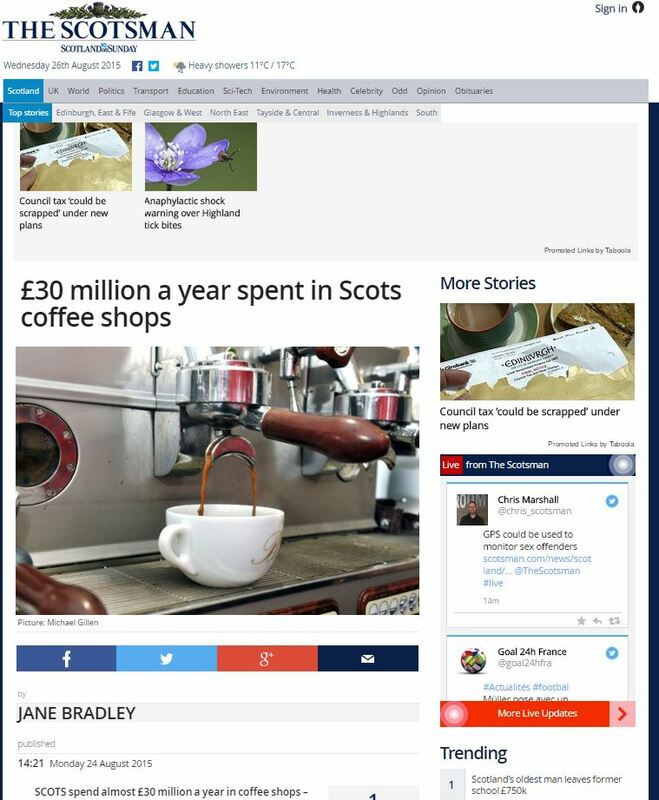 Stereotype-defying news in the Scotsman earlier this week, reporting on the finding that coffee culture has become so popular in Scotland that it’s now worth £30 million. The poll of more than 2,000 adults – including 635 in Scotland – found that 1.6 million people make 15 or more trips to a coffee shop every month. Almost one in ten surveyed says they make between five and ten monthly coffee shop visits, making their minimum spend around £220 per year. Conducted by OnePoll, 635 adults in Scotland were surveyed, with the study based on the £2.45 average price for a medium cappuccino or latte. 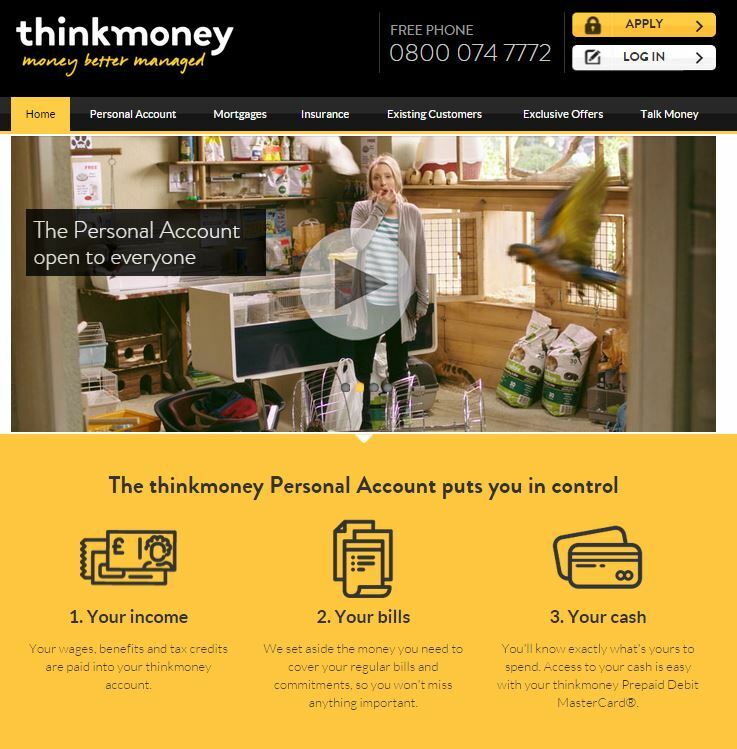 Thinkmoney is a personal finance service, which sells itself on helping people make savings and analyse how much they’re spending, so they’re well-placed to benefit from suggesting to people that little spends add up to large amounts. This entry was posted in Thinkmoney and tagged Evening Times, Herald Scotland, Ian Williams, Jane Bradley, Leigh Sparks, onepoll, Scotsman, Thinkmoney on August 27, 2015 by Michael Marshall.